The GMC Sierra is one of the trucks that is getting an overhaul for 2016, and rumors about what the truck will feature are starting to surface as the second half of 2015 begins. While actual details have not yet been released, industry experts have some expectations about what GMC will be introducing. 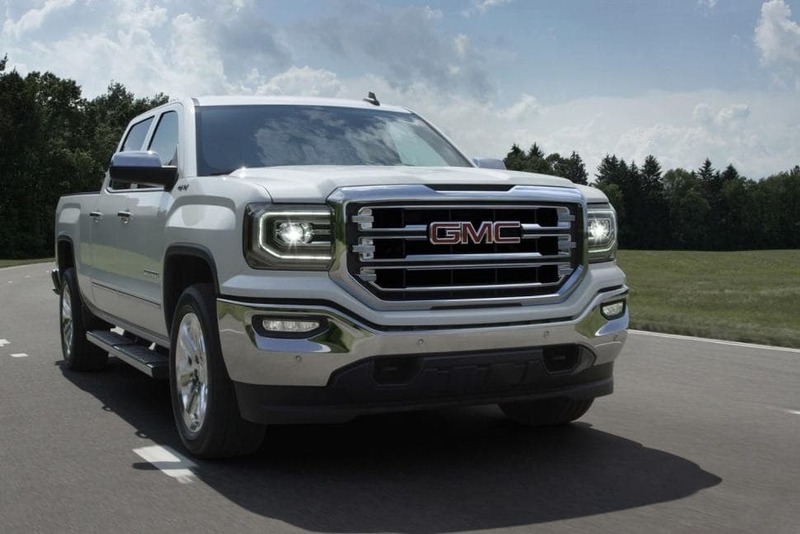 What has helped the GMC Sierra stand out among pickup truck buyers who want a light-duty truck is the fact that it offers excellent towing and hauling ratings for light-duty trucks. It is able to do so without going aluminum, which many feel is an asset. In fact, Sierra has been offering exactly what truck owners want, without the turbocharged engines and diesel models that drive up the price. In 2014, the Sierra underwent a complete redesign, with a new powertrain, more comfortable cabins and more streamlined styling. This redesign made it a strong seller, putting it in the running with Ram and Ford offerings for one of the top-selling light duty trucks. The 2016 changes will likely simply be tweaks on the 2014 redesign, helping highlight the trucks strengths. One of the biggest changes with the 2016 Sierra is a new front fascia. LED fog lamps are part of the new features, and several cosmetic changes to modernize the look of the popular truck. GMC has indicated that each trim level will get its own unique grille design, so it will be easier to tell the difference between trims form the exterior of the vehicle. The 1500 will have a front end that looks like a heavy-duty truck, sitting high with a blunt front. Chrome will be abundant, although slightly less prominent than with past models, giving the truck a muscular look. The dash offers an upright, easy to navigate layout finished with soft materials and lit with GMC’s signature red lighting. Buyers will find little to complain about inside the comfortable cabin of the 1500. The redesign of the GMC Sierra will not touch the engine. Engines will not be downsized and turbocharged, but the larger displacement engines will remain in the Sierra. These engines use cylinder deactivation, continuously variable valve timing and direct fuel injection to help make the m a little more efficient without sacrificing output. The truck is strong, with even the base 4.3-liter V-6 offering sufficient towing capacity for most tasks. Other engine options will be the 5.3-liter V-8 and the 6.2-liter V-8. The 2016 Sierra will be available with either rear- or four-wheel drive. The standard six-speed automatic transmission comes with cruise grade braking to help reduce wear on the braking system. The eight-speed automatic may expand into the 5.3-liter models, but GMC has not yet announced whether or not this is the case. All trims of the Sierra will include four-wheel disc brakes and Duralife brake rotors, designed to have a longer life span. Electric power steering and an excellent shock system makes the Sierra a pleasant ride and a truck that is easy to handle. Even the cab itself is quite quiet, utilizing underfloor insulation to limit cab noise. What will GMC add to the interior? That remains to be seen. In recent upgrades it added keyless entry, included air conditioning and a 4.2-inch color display radio. The InteliLink connectivity system is available as an option, but perhaps could become standard. Apple CarPlay and Android Auto capability are also expected to be part of the 2016 update, and a 110-volt AC outlet capability may also be introduced. All in all, with a new exterior and a modern look, the 2016 GMC Sierra is expected to sell well. Those who are fans of the truck are waiting further details with much anticipation.